Keeping track of your fitness achievements is very important for motivation as being able to keep up with them translates to continued progress. 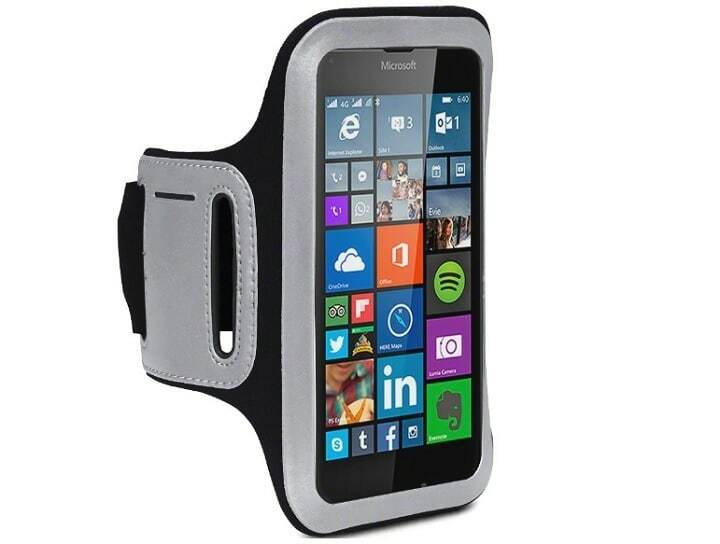 If you own a Windows phone and you want to use it to track your fitness progress, then you’ll need an armband. Check out some of the best ones below! 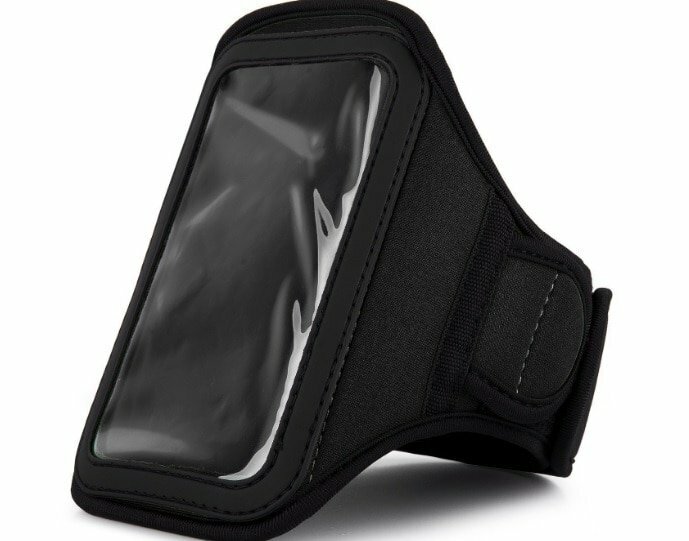 This Window phone armband from Shocksock fully protects your phone and also looks good. Insert your phone, tuck in the protective flap, secure it with the adjustable velcro strap and you’re ready to go. 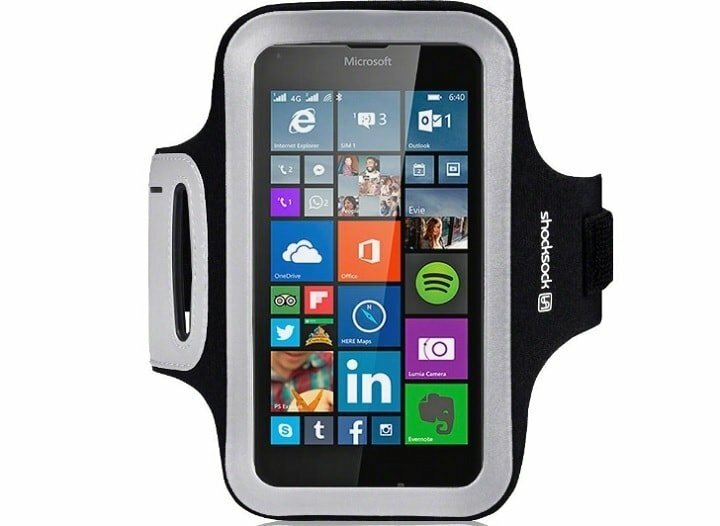 Designed specifically for the Lumia 640, this armband features a touchscreen sensitive film as well as a headphone jack opening. 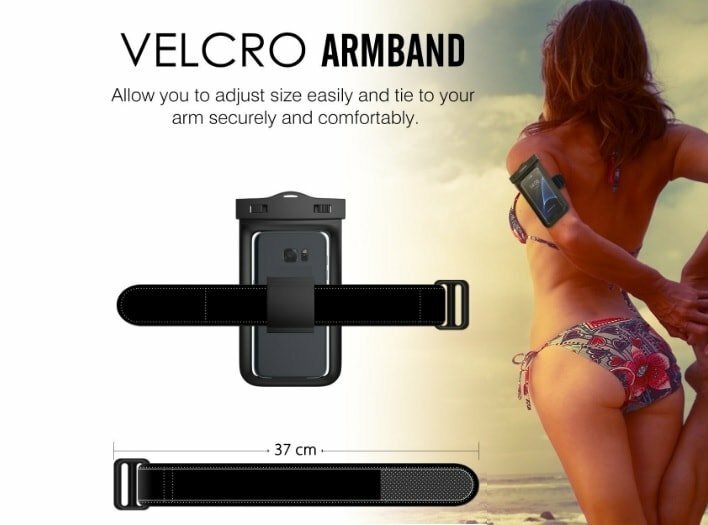 Thanks to its dual slot design, you can easily adjust the band size to perfectly fit your arm. You can even fit the armband over clothing or wear it on your forearm. The best part of this armband is that its material can be easily hand washed and doesn’t retain moisture or bacteria. Interested in buying the Shocksock armand? You can grab it for $10.95 from Amazon. This fitness armband is made of durable, super strong material and is equipped with a reinforced high-grade plastic interior to prevent moisture build up on your phone. It comes with two-piece adjustable velcro straps that can extend from 16.5 in to 22 inches to fit small and large arms. VanGoddy recommends this armand for the following phone models: the Nokia Lumia 1020, Nokia Lumia 625, Nokia Lumia 928, Nokia Lumia 925, Nokia Asha 210, Nokia Lumia 720, Nokia Lumia 520, Nokia Lumia 525, Nokia Lumia Icon, Nokia X+, Nokia X, Nokia Lumia 930, Nokia Lumia 635, Nokia Lumia 630, Nokia 225, Nokia X2. You can buy the VanGoddy armband for $9.95 from Amazon. The MoKo armband is perfect for Windows phones up to 6 inches large and also offers some extra space for you to put your credit card, ID, cash, etc. Its slim transparent cover supports full touch screen functionality, even underwater. This means that your Windows phone is safe no matter what sport you’re practicing. Moreover, this case offers water and dirt protection as well. You can also use the MoKO armband to hang your phone around your neck thanks to the detachable lanyard if you’d like. You can buy the MoKo Universal Waterproof Armband for $5.99 from Amazon. MyValor’s workout armband allows you to take your Lumia phone with you when you’re working out, jogging, doing outdoor activities or anytime you’re on the go. 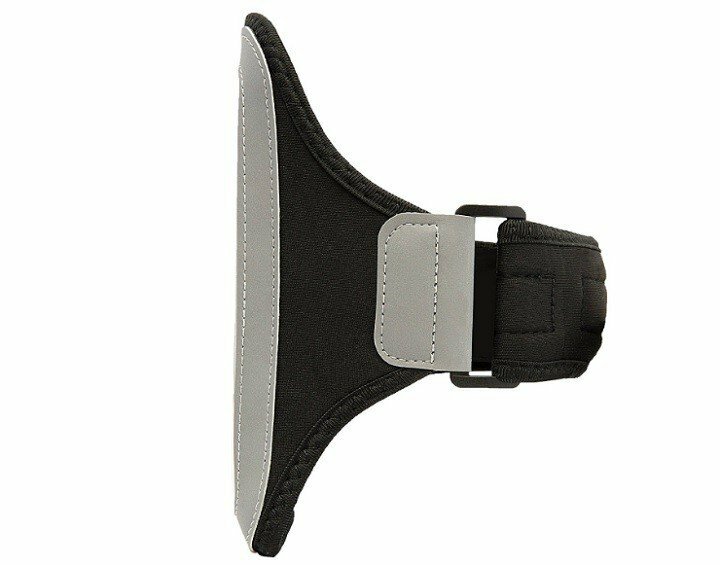 Itsadjustable velcro restraint strap is designed to comfortably accommodate most arm sizes. As far as the compatible phones are concerned, the armband is designed to fit extra-large phone models up to 6.30 x 3.4 x 0.65 inch. Its manufacturer recommends it for the following Lumia models: Lumia 950 XL, Lumia 640 XL, Lumia 1320 and Lumia 1520. You can purchase the the My Valor armband for $9.95 from Amazon. Which armband are you planning to buy?